If you’ve ever dreamt of diving into the alluring world of fishing, you’ve come to the right place! We’re fond of this particular hobby because it’s great for all ages and skill levels. It’s a wonderful way to enjoy nature, spend time with friends and family members, and unwind from the daily grind. We’ve compiled a comprehensive beginner’s guide to suit the first time fisherman and beyond. 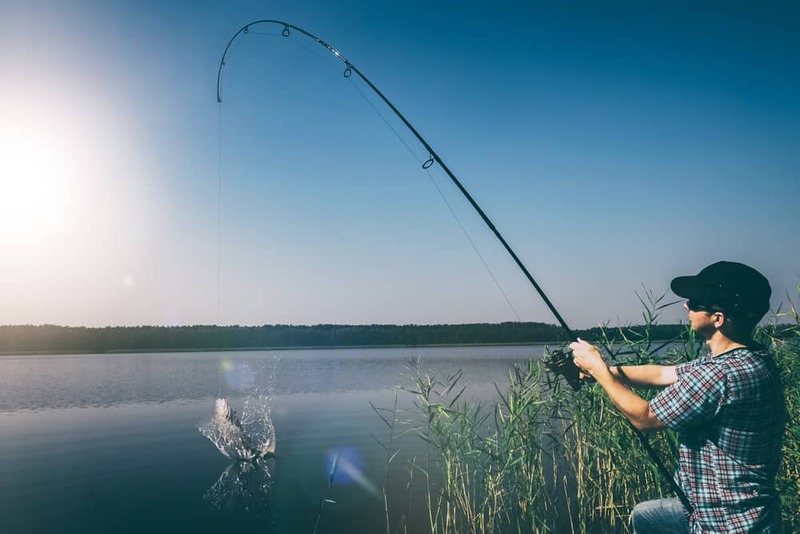 From the hobby’s fascinating origins to the best equipment and locations, read on to learn all there is to know about the wonderful world of fishing. The practice of fishing—also known as angling—began over 40,000 years ago as a means of nourishment. Fish were caught in both freshwater and saltwater locations, and anglers counted on their daily catch for survival. It was only later—around 2000 BCE—that fishing became a sport. At that time in Egypt, folks began fishing with rods, lines, and nets. In the 4th century BCE, silk lines were used, along with hooks made from needles. Bamboo rods were utilized, and cooked rice served as bait. The history of fishing has been traced using texts from all around the world. Interestingly, the same trials that early fisherman faced are still prevalent today; anglers must find their catch and lure them in, both of which are not easy tasks. Perhaps it’s the thrill of the hunt that keeps dedicated anglers coming back time and time again. These days, anglers fish for a multitude of reasons. While many folks continue to partake in the sport to catch the evening meal, others simply enjoy fishing as a hobby. Let’s face it… Life is hectic, and fishing is an excellent way to reset. It forces folks to slow down and take in the world around them. Being outdoors and bonding with fellow anglers makes stress melt away. Along with being an excellent stress reliever, fishing can be meditative and the ultimate way to relax. Because fishing is an outdoor activity, anglers are exposed to mood-improving sunshine, and are more likely to get physical activity. Fishing isn’t always a solo sport. Anglers often enjoy socializing. Plus, fishing is a great activity for families and groups of friends. For many, fishing is simply an enjoyable pastime. It’s a break from reality… a reason to kick back and forget their troubles. Plus, reeling in a big catch is exciting! Lots of people fish solely for the thrill factor. 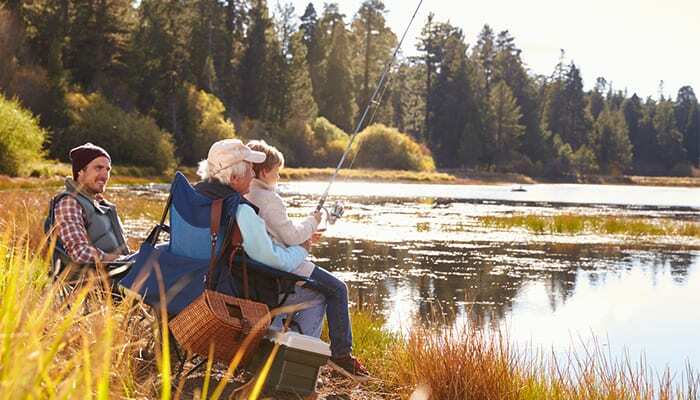 Fishing is a fantastic hobby for people of all ages. Parents and grandparents can teach children new skills that will carry over into adulthood. Whether it’s a lake, pond, stream, or river, you most-likely have a freshwater location nearby. Perfect for beginners, freshwater fishing requires very little equipment and can be enjoyed from land. Approximately 40-percent of fish are the freshwater variety. They include crappie, salmon, walleye, catfish, bass, and trout. While you may choose to fish on land or from the shore, you can also fish by boat or from a bridge. From shore or from boat, saltwater fishing can be a great option for beginners. Depending on the fish you intend to catch, you’ll need special equipment, so it’s best to consult a professional before venturing out. Fishing from the beach is an excellent option for first-timers. The species of fish you can catch are virtually endless. You can catch fish from virtually any shore. This type of fishing is ideal whether you have freshwater or saltwater nearby. Check with a local fisherman to find out what types of fish are biting in your area. This will help you decide what type of bait to pick up. People who fish for fun or relaxation may opt for catch and release fishing, which simply means throwing fish back after a catch. This type of fishing requires the angler to use extra caution when removing the hook from the fish. 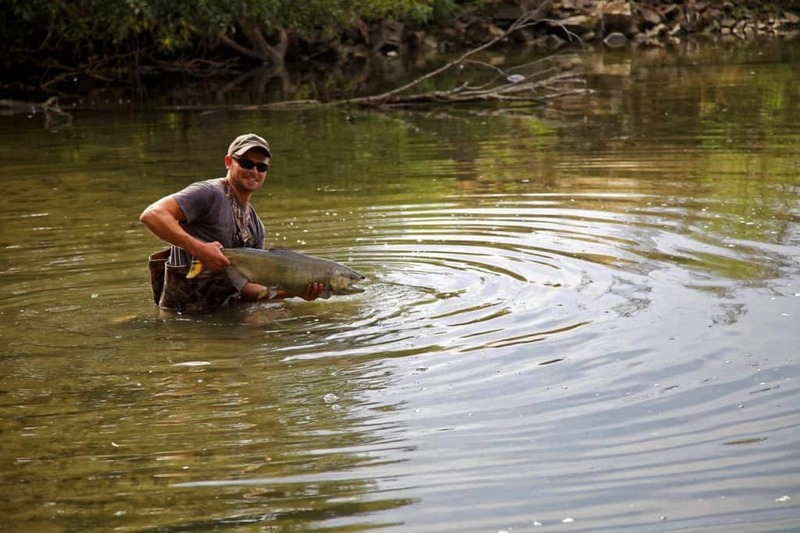 You’ll need a fly rod, reel, and artificial flies to try your hand at fly fishing. 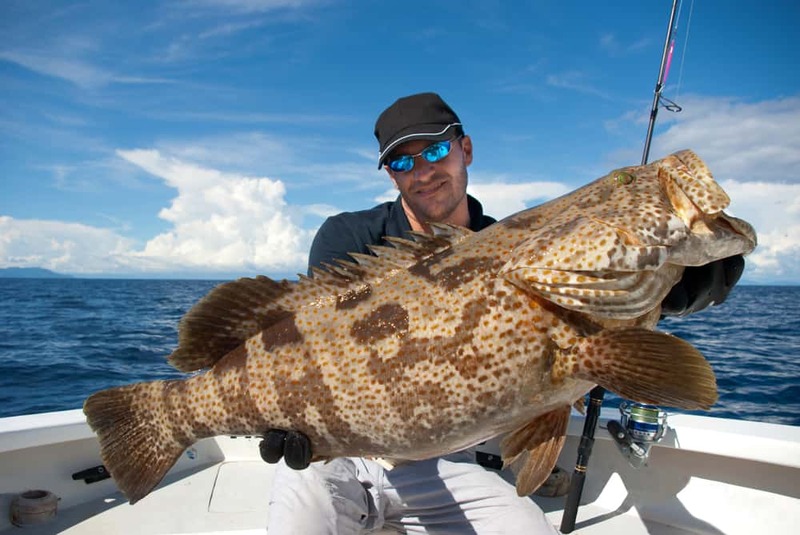 This type of fishing can be done in both freshwater and saltwater locations. Depending on the types of fish you intend to catch, you’ll need to learn a few techniques and pick up some special equipment. If you prefer cold weather, you may be keen on ice fishing. The ice must be thick enough to walk on, and you’ll need to pick up some special equipment and learn a few ice fishing techniques. You’ll need an ice auger, for instance, to drill holes in frozen waters. Many ice anglers bring along portable shelters. Fancy a day out on the water? Fishing by canoe is a wonderful way to take in local scenery and catch some fish in the process. Canoes are fairly simple for beginners to navigate; you’ll need to know how to launch, paddle, and land your boat when venturing out via canoe. If you’re looking for a challenge, give stand up paddle board fishing a go. Not only will you catch fish; you’ll get an amazing full-body workout. A fishing license: Each state has rules and regulations. Find information about your state’s guidelines, along with links to purchase a license here. A rod and reel: For adults, opt for a spinning rod and reel. For kids, choose a rod/reel combination. Choose a rod that fits comfortably into your hand. Many beginners choose close-faced reels, while open-faced versions cast further and are often preferred among experts. Fishing line: We recommend monofilament fishing line. When catching small fish, look for line with 8-pound test on the label. Clippers: You’ll need clippers for cutting your fishing line. Simple nail clippers will do. Hooks and weights: Combo kits are a great option for beginners, as they include several different types of hooks and weights. For small fish, look for hooks between sizes 6 and 10. Note: If you plan to catch and release, consider picking up circle hooks, which are more fish-friendly than most other hooks. Split shots: These small metal weights clip to fishing line. Plastic bobbers: These inexpensive bobbers float, and will let you know when fish begin to bite. Bait: Many sporting goods stores and tackle shops offer live bait, which is ideal for most fishing locations. You should be able to find minnows, crickets, and night crawlers at most retailers. Ask for bait recommendations for local fishing spots. If live bait isn’t an option, opt for soft, plastic artificial bait. Pliers: Be sure to bring along a pair of pliers to remove the hook from your catch. A tackle box, optional: Consider picking up an inexpensive box to organize your gear. A bucket: Pick up a bucket for keeping bait and/or fish. Bonus: It doubles as a seat. Make sure you have at least 100 yards of line for your reel. To spool the reel, lay the rod flat, open the bail, and tie an overhand knot around the spool, then repeat. Cut the end of the line close to the reel, and place your spool of line face up. Hold the reel firmly, and begin reeling the line onto the spool until the spool is nearly full. Now cut the line. Tip: If you’re a visual learner, Anders Fishing offers an excellent video tutorial, which you can find here. Clip your bobber to the fishing line about 8 inches from the tip of the rod. Next, attach the split shot to the end of your line. Step 1 When casting a fishing reel, grip the rod firmly, then push and hold in on the reel’s release button. Step 2: Turn the body slightly and shift your weight to the same side. Step 3: Take a look around to make sure it’s safe to cast your line. Step 4: Bend your elbow and raise your arm, making sure the tip of your rod is at eye level. Step 5: Use the wrist to bring the rod forward. At this point, the bobber and split shot will fly into the water. Step 6: Create tension in the line by reeling the line through the forefinger and thumb. Step 1: Set the hook in the fish’s mouth by jerking the rod up abruptly and giving it a couple of pulls. Step 2: Next, reel the fish in. Some fish wiggle and fight against the hook, so maintain a stable stance with your knees bent slightly. If the fish wriggles free, keep practicing. You’ll soon get a feel for the perfect time to attempt a catch. Once you’ve made your catch, it’s time to remove the hook. If your fish is on the smaller side, simply hold it in one hand and remove the hook with the other. For larger fish, consider using a net while removing the hook. Practice casting at home: Perfect your cast before your first fishing trip by practicing in the privacy of your own backyard. Don’t be shy: Ask local anglers which fish are biting and what type of bait works best. Accompany an expert angler: Ask a local fisherman if you can tag along on his next outing. You’ll gain valuable hands-on experience. 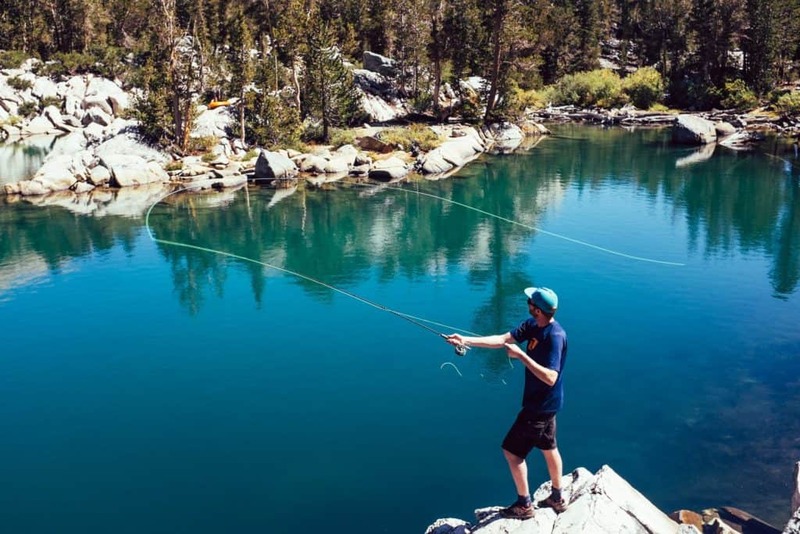 Don’t mistake a snag for a bite: Check to see if a fish is actually biting by keeping some tension in the line and waiting for a pulsing movement, then it’s time to set your fish. Be patient: Fishing takes patience, both with yourself and with the process. Enjoy the adventure and allow for mistakes in the beginning. Plan for anything: Prepare for the unexpected by packing a variety of bait, as well as clothing essentials for quick weather shifts. 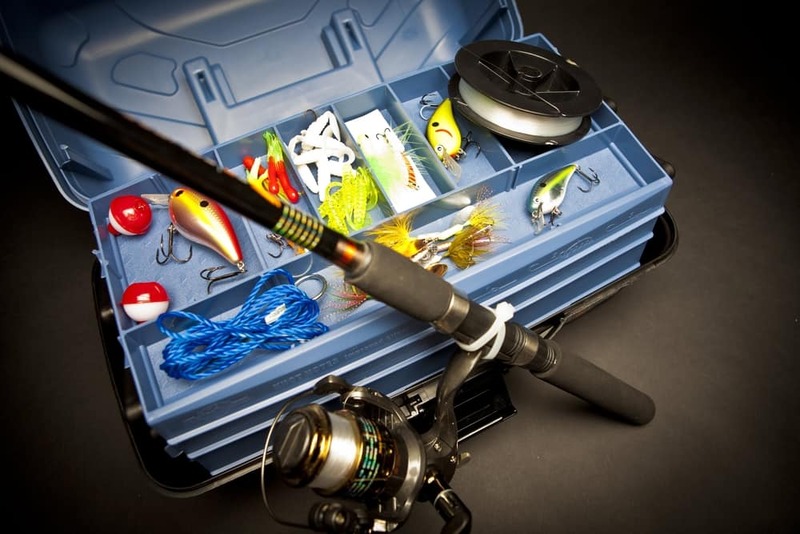 Don’t go on a spending spree: Borrow equipment from a local angler, or consider renting equipment before making a lofty investment. Make sure you love the sport before purchasing unnecessary equipment. Pay attention to creel limits: Many bodies of water have creel limits, which tell you how many fish you can keep per day. Find out these limits before venturing out. Know the water temperature: Fish typically dive deep when the temperature is high, which means the warmer the water temperature, the deeper you’ll need to fish. It also helps to know what temperature specific fish prefer. Leave plenty of line: When you catch a fish, reel it in until there is a rod’s length of line left. You want the fish to have plenty of room to wiggle and tire itself out. Befriend the wind: On windier days, larger fish tend to be closer to shore to feed on smaller prey. Keep quiet: Fish can hear surprisingly well, so keeping quiet is essential. Size doesn’t matter: In the beginning, aim to catch a fish… any fish. Later down the line, you can scope out bigger catch. Take care of the environment: Never leave waste behind. Leave your fishing spot as you found it, if not better. This free app provides information about 1.7 million fishing spots; it includes information about which fish are biting and which type of bait is recommended. This user-friendly app is interactive and ideal for any skill level. Users can show off their catch and connect with other anglers using this free, user-friendly app. Save your favorite fishing locations, or spring for the premium version for access to detailed maps and expert angling tips. Fishidy currently includes listings for 17,000 fishing spots. It’s a fantastic resource for beginner and expert anglers. This free app is ideal for saltwater anglers of all skill levels. It’s database currently includes 15,000 locations, along with rules and regulations by state. The app even offers information on knots, as well as a digital wallet. When first starting out, check out local bodies of water. If you’re lucky enough to live near a river, lake, pond, etc., take full advantage! If not, consider taking a road trip or jet off on a fishing vacation. The Florida Keys: Whether you’re looking to fish from shore or by boat, you’re bound to find plenty of species in this tropical hotspot. We hear bonefish and redfish are often caught just off the mainland. Outer Banks, North Carolina: Take your pick from Outer Banks’ beautiful shores and piers, and take advantage of the boat rentals while taking in the stunning scenery. You’ll most-likely find flounder and seabass during your excursion. Outer Banks’ head boats come equipped with fishing gear and take anglers to the best local fishing spots. Kobuk River, Alaska: If you’re itching for a change of scenery, consider a fishing adventure in Alaska. You’ll find northern pike, arctic char, and sheefish. Travel north of the Arctic Circle to score the best catch. Martha’s Vineyard, Massachusetts: Explore beautiful New England and cast your line here for albacore and bonito. Whether you fish from the shore or via boat, you’re sure to reel in dinner. Chesapeake Bay, Maryland: Venture out in search of coveted striped bass, along with flounder and speckled trout. You’ll be in awe of the beautiful views, along with the day’s catch. Whether you’re on a mission to catch tonight’s dinner, or you’re simply in need or some fun or R&R, we hope you’ll use the above tips and tricks and give fishing a try. Just one time on the water, and our guess is you’ll become a bona fide angler. 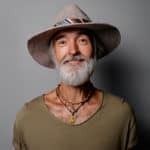 Hi I’m Jonny, thanks for checking out my guide to fishing! I’ve fished for well over two-decades, and despite the protests from my wife, I’ve spent as much time on water than on land in that time! It really is a lovely hobby and I do encourage you to give it a go!